More and more people demand vegan sausages on a monthly basis. There's no doubt that the growth in terms of vegan consumerism will keep going up so it is important all catering businesses attend to the incessant demand. At The Sasage Man we supply the best German vegan sausages there are; we bring them all the way from Germany and customers are delighted with our products. Please check our testimonials page to see what our customers think about us. If you're looking for vegan hot dogs UK or vegan bratwurst we are your suppliers. Please get in touch for more information on delivery, stock and prices. Vegan sausages and hot dogs have been truly in demand in the last few years and this is due to many individuals changing their eating habits and new generations opting for a different lifestyle when it comes to their diet. There's no doubt that the meat hot dog has its place in many places or countries like Germany, but the demand in terms of vegan products is growing and businesses need to keep up with the demand. As times change new audiences demand good quality vegan hot dogs and sausages. At The Sausage Man we truly believe our German vegan hot dogs and vegan bratwursts are the best there are. We have taken the time and consideration to choose two products that stand out from the rest. We import our vegan sausages all the way from Germany on a weekly basis. Why not give our vegan bratwurst a try? We're sure that many of your own customers would like to try this delicious sausage - whether they follow a vegan diet or not. Many individuals who incorporate meat within their diet are also giving the non-meat options a chance every now and then in order to cut down on their meat intake. That's right - our vegan hot dog is a truly fabulous bockwurst. We have been importing this bockwurst for a few years now and the demand keeps growing. Our wholesale vegan bockwurst comes in packs of two hot dogs. Please not that these sausages are not gluten free. You can serve the vegan bockwurst the same way you serve your other hot dogs and sausages: top it with mustard, ketchup, crispy onions or any type of relish you may have. Raw onion would also be a great addition as a topping. 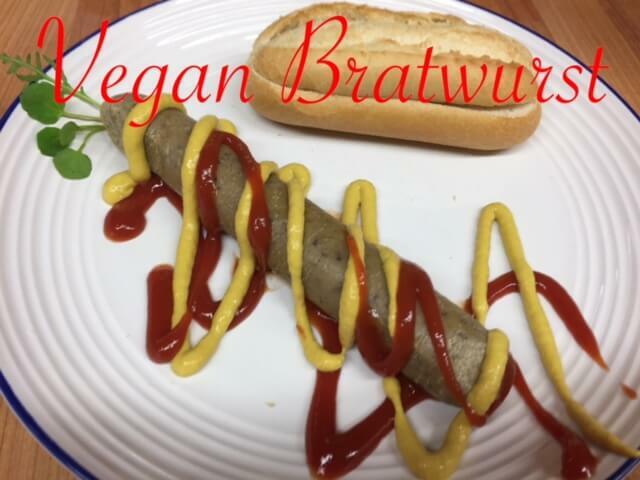 Try incorporating our vegan sausages to your menu and make sure you advertise the option clearly around your premises so when groups of people walk in or vegan individuals want to give your restaurant, gastro-pub, hot dog related business, etc a try they can see the vegan choice is there.